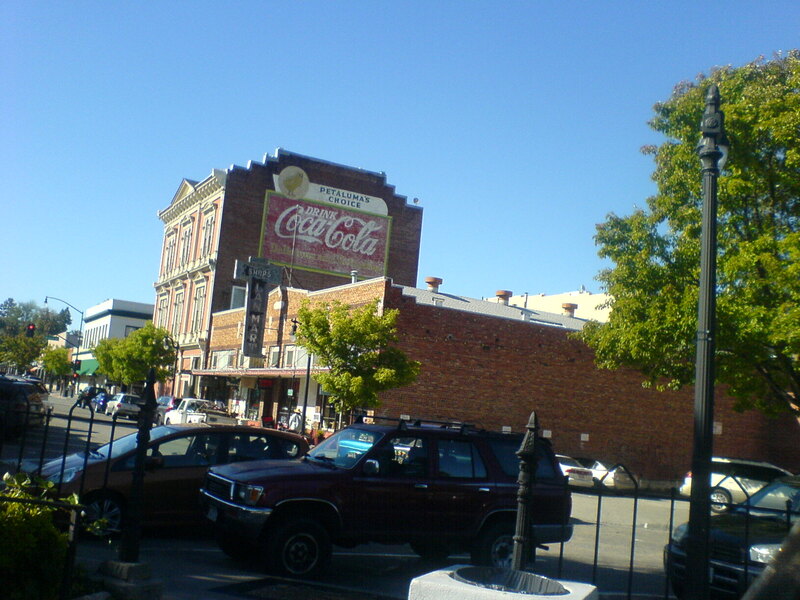 We were Sunday driving a couple of weeks ago and somehow ended up in downtown Petaluma. I snapped a photo of this Coca-Cola sign that I’ve always liked. The parking lot next to the brick building is the back end of the lot where they filmed the scene of the cop car losing its axle in American Graffiti. There a good map here that shows where many of the scenes were filmed around Petaluma.